BMW previews a new performance version of the forthcoming flagship model for its range, in the form of an M8 Gran Coupe concept. 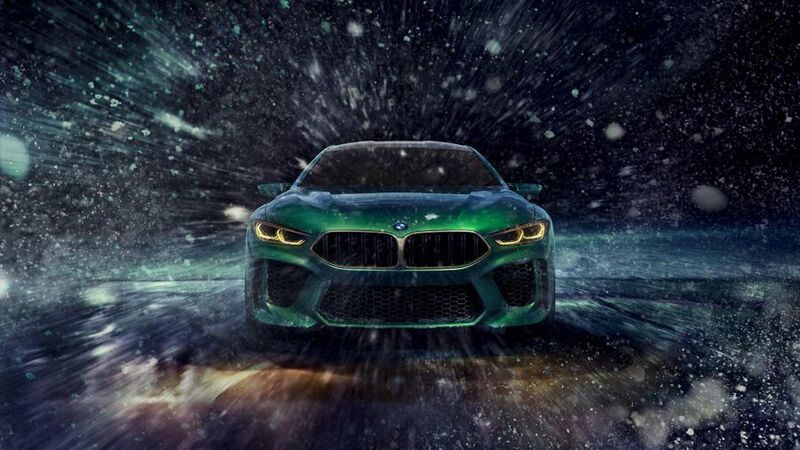 The BMW Concept M8 Gran Coupe has been revealed at the 2018 Geneva Motor Show and brings with it an insight into how the German brand’s cars will look in the future. BMW has already shown off a concept version of the two-door 8 series, but this is the first look at how the new Mercedes-Benz S-Class rival will look as a four-door coupe. 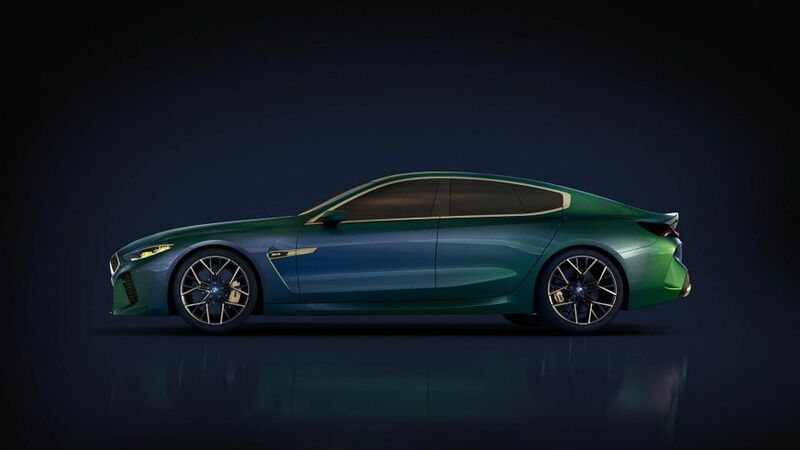 The concept gives a look at what the face of the 8 Series will look like when it goes on sale in 2019, with the new angular kidney-shaped grilles, and the headlights that borrow styling impressions from the M8 GTE endurance racing car. As this is a concept car we can’t really expect huge amounts of technical details, and we don’t get any. Instead, BMW talks a lot about the look of the car, highlighting elements such as the gold-coloured graphics, wheel rims and brakes. It does confirm that the Gran Coupe comes with a lightweight carbon fibre-reinforced plastic roof, which lowers both the car’s weight and the centre of gravity. If you want concrete details on the final version of the new 8 Series Gran Coupe and its M8 equivalent, you’ve got a bit longer to wait – the final versions will be presented ‘during the course of 2019’, at which point they will complete the new 8 Series family. Interested in buying a BMW ?